There are plenty of articles and videos out there to teach you how to fix up a scratch or dent on your own to hold you over between car repair shop visits, but when is it time to see the car care professionals at an automotive repair shop in Reno? There are more than a few instances that indicate it is time to switch from DIY to the pros. It happens to all of us at some point or another. You could be stopped at a red light and become the victim of a fender bender, or you can be in a serious collision with one or more cars. 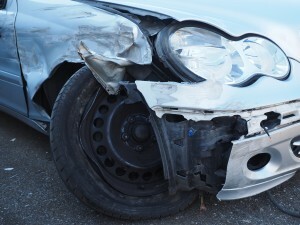 You will need some professional help from a collision repair center in the Reno area. An automotive repair shop in Reno can take care of car damage like this! It is important to remember your rights as the car owner with in your auto insurance policies. 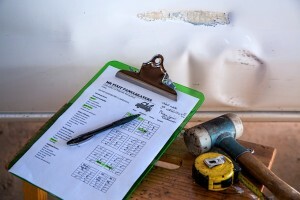 Though the other person in the car collision may have an insurance policy with suggested auto body shops for collision repair, some people are able to choose a repair shop outside of the venues offered by insurance. At Liberty Collision, we will give you an estimate with our two trained automotive repair estimators on staff. We also have a loaner car for people who still need a way to get to work while their cars are being repaired. Our team prioritizes safety and efficiency so you can get back on the road safely. A little scratch or ding on your car just requires some cosmetic car repair, and these types issues with your car will not keep you from driving safely each day. Cosmetic car damage should be a cause for concern and an immediate visit to an auto body shop if your car’s paint is peeling and leaving the surface of your car exposed. The exposure can lead to surface rust, which is definitely a car problem worth avoiding. If you have a headlight or tail light that seems to be not working, you can end up with a ticket and a less safe driving experience. Avoid both of these by visiting a body shop when you start to experience problems with your headlights or your tail lights. The car repair professionals can identify if the issue is the bulb or some wiring and get you back on the road with fully functioning lights. Liberty Collision is your one-stop shop for your automotive repair needs! At Liberty Collision, we can help you get your car back in shape each step of the way. We offer towing services, paint and body repair, glass repair services, paintless dent repair, and more! You can also come to Liberty Collision auto body shop for car restoration services. Whether you need to repair your car functionally or improve the cosmetic appearance of your car, we have the team that can take care of you! Get your car back on the road and looking top notch with the team from Liberty Collision automotive repair shop today.